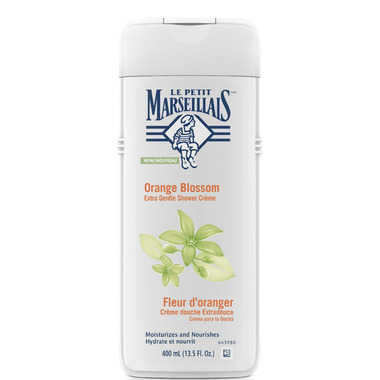 Le Petit Marseillais Orange Blossom Extra Gentle Shower Crème gently cleanses, while moisturizing your skin. Its smooth and easy to rinse foam reveals a delightfully sweet and floral fragrance. Skin is left feeling soft, smooth and nourished. I received a sample a few months ago and absolutely feel in love with the fragrance!!! I bought a bottle and I enjoy so much taking a shower with that soap! I received it as a sample and really enjoyed it. Light sent, very nice. I would consider buying some. This is really nice. I received a few samples and like adding to my L'occitane almond shower oil. It adds a lovely scent of orange blossoms..